Judge Jules is a British dance music DJ. Born on October 26, 1965 as Julius O'Riordan, he was educated at University College School and the London School of Economics. He studied law at the LSE, giving rise to his stage name "Judge Jules", though he obtained a lower second class honours in his degree. Jules began his music career as a DJ on the then pirate radio station Kiss FM before he joined BBC Radio 1 in 1997, where he now has a regular Saturday night slot. He also has an internationally-syndicated radio show called "The Global Warm Up" www. omethinelse.com which can be heard across the USA, Russia, Europe and the Middle East. The Judge is well known for his witty one liners between tunes on his radio show. Jules' Radio 1 show, called The Saturday Warm Up is on air 7:00pm-9:00pm. After Pete Tong's Essential Selection it's the most listened to dance radio show in the UK and also attracts listeners from around the world. This is possible because Radio 1 can be heard online 24hrs a day, 7 day's a week. He also works as a producer under the name Hi-Gate with Paul Masterson. He lives in Highgate, North London and is married to Amanda, who provides vocals for the group Angelic with Jules & Darren Tate. They have a son, Jake, and daughter, Phoebe. 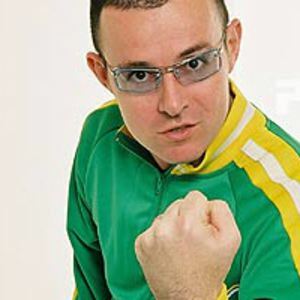 Judge Jules is responsible for launching many huge trance tunes and acts in the UK through his show, and is a pioneer for commercial contemporary dance music. Judge Jules has a regular club night in Ibiza called Judgement Sundays. The night runs for the entire summer season and as well as DJing at this night he also promotes it. Because of the work involved, Jules has a second home in Ibiza as well as now owning a restaurant on the island. Many of the tracks credited to him are actually the mis-tagged work of other artists who he has featured his commercially released DJ mixes.